Earlier today, Merchoid has announced their brand new range of officially licensed God of War merchandise. Tied in with the upcoming release of the game, the range of merch includes tons of clothing and other accessories, all of which is set to release in April. While the clothes (which range from sizes S-XXL) are the main attraction to the lineup of items, Merchoid has also made various accessories that God of War fans will likely love. Included within the accessories are some physical items that fans of the God of War series will like, including a Norse Omen Necklace, a Metal Badge Cap, and a Serpent Wallet, so if you’re interested in checking out the full collection, head over to Merchoid’s site, where the new collection is all available to preorder now. Heading up the range are two hoodies available in sizes S-XXL. 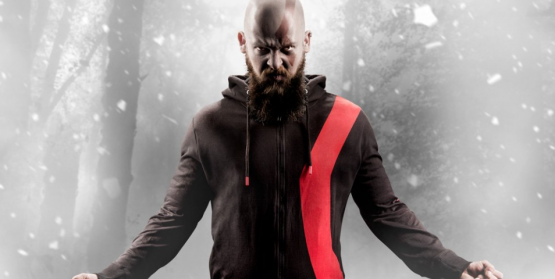 Both similarily designed, the God of War: Ashes to Ashes Kratos Hoodie is a white hoodie with Kratos’ red body war paint and in contrast, the God of War: Kratos Dark Odyssey Kratos Hoodie is black with red war paint detailing. Completing the clothing range are two brand new t-shirt designs – God of War: ‘Put on a Rage Face’ T-Shirt and God of War: ‘Power Plant Yggdrasil’ T-Shirt. The t-shirts are 100% cotton and are available in sizes S-XXL. God of War will release on April 20, 2018.